If you need door installation Shepherd Park, Washington DC professional services, look no further than King Door and Lock Maryland and DC. You’re going to be impressed with our comprehensive set of door repair and replacement professional services for homeowners and business owners. Do you wish to change out your battered entry door? Is your garage door in such awful shape that one can rarely get it open nowadays? 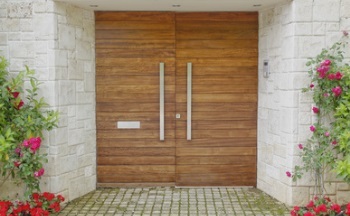 It is particularly important for businesses to have useful and attractive entry doors. It doesn’t matter what kind of door you’ll need, King Door and Lock offers 24 hour Shepherd Park solutions. In case your business needs garage door repair or replacement, then we are your experienced and trained professionals for commercial garage door repair and replacement. Utilize our full door services to ensure that our company will help your business to thrive. Our speedy and helpful specialists will get to your place of business promptly so you know exactly what your repair or replacement is going to cost. We will then handle the task efficiently and with courtesy so you’re able to focus on your own company. Are you considering installing a new garage door for your Shepherd Park dwelling or commercial establishment? Let King Door and Lock Maryland and DC take care of your garage door installation. Given the different parts of a garage door, it truly is imperative that you seek the services of specialists for the task. The garage is the ‘home’ for your automobile and assorted additional things that the majority of us keep in there: lawnmowers, leaf blowers, bikes, and so forth. Because of the number of items that we store in our garages, it is essential that they’re secure and working effectively. You want the task performed correctly by our highly skilled specialists with their high tech equipment and tools that enable them to work on any job of this nature. Maybe you currently have a garage door, but it isn’t working as properly any longer. For the exact same reasons provided above, you ought to make sure that garage door repair is finished properly the first time to secure the belongings you store within. Our skilled professionals will check out your garage door and inform you if it needs to be replaced or if it can just be repaired. We’ll explain to you what it is going to cost up front so there will not be any surprises when you get the invoice. Our company has all of your private home door needs taken care of. Is your storm door falling off its hinges or seen a lot better days as far as the shape the door itself is in? Our professional and trusted experts will check out the problem and after that, let you know exactly what a storm door repair or storm door installation will cost. Entrance doors suggest the individuality of your property and also connote a picture of the individuals that reside there. An entry door installation from King Door and Lock radiates high caliber, skillfulness, and professionalism to anyone who walks through it. When investing in front door replacement from King Door and Lock, you will get transparent pricing to ensure you know exactly what you’ll be paying for. You’ll have assurance in the work that we carry out when installing any of your doors. In combination with servicing front doors, we can also deal with patio doors or back doors. Based on the state of the patio door or sliding glass door, our technicians will either fix it or replace it altogether. King Door and Lock is known for providing the leading door installation Shepherd Park, Washington DC service. Industrial door repair and replacement is different from non-commercial door replacement and repair. Our specialists are skilled in both types of services. Commercial doors need to be made of heavy duty quality to deal with their repeated use on a daily basis. In comparison to residential doors, commercial doors are generally built with more complex components. 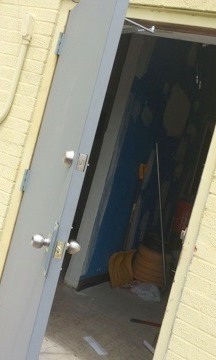 At King Door and Lock Maryland and DC, we’ve been repairing storefront doors for more than 10 years. We realize, being a business ourselves, that you are regularly keeping an eye on your financial well being. King Door and Lock Maryland and DC believes that you will not find a better value with regard to door installation or door repair than we offer. Be wary of companies with unbelievably low prices because it’s highly likely that their work will be of lower craftsmanship. To make it easier for you, King Door and Lock utilizes upfront rates to ensure no hidden fees. The technicians at King Door and Lock Maryland and DC are the door experts. For door installation Shepherd Park, DC service, give us a call. We provide complete door services: door installation, door repair, door replacement. Our 24/7/365 door solutions covers residential doors, commercial doors, and garage doors. King Door and Lock services not just exterior doors, but also excels at interior door replacement and repair for houses or businesses. Internal doors we specialize in replacing and repairing comprise bedroom doors, pocket doors, and closet doors. Our technicians will initially examine what has to be done. Maybe you will not have to have a whole new door. It may be a question of a door jamb repair or a door hinge repair. In case the frame of the door is old, then perhaps a door frame repair is all that will be necessary. Our experts will find the problem, figure out what really needs to be completed, and then present you with up front prices so you have the knowledge you need to make the right decision. If you are in Shepherd Park and the vicinity, contact us today. We are here for you 24/7! Our Door Installation Shepherd Park, DC Services https://kingdoorandlock.com/dc-door-installation/shepherd-park/ 3.9/5 based upon 13 reviews.